Finally up and decorated. Now I'm into baking. Oh a sweet seashell angel! Love looking at Christmas trees. Nice lighting. Very pretty close up shot. Beautiful lighting on the angel. 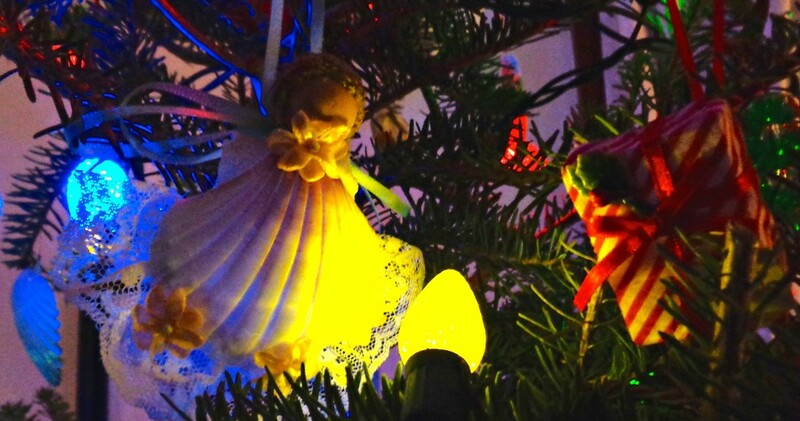 Love the yellow seashell angel. to beautiful.